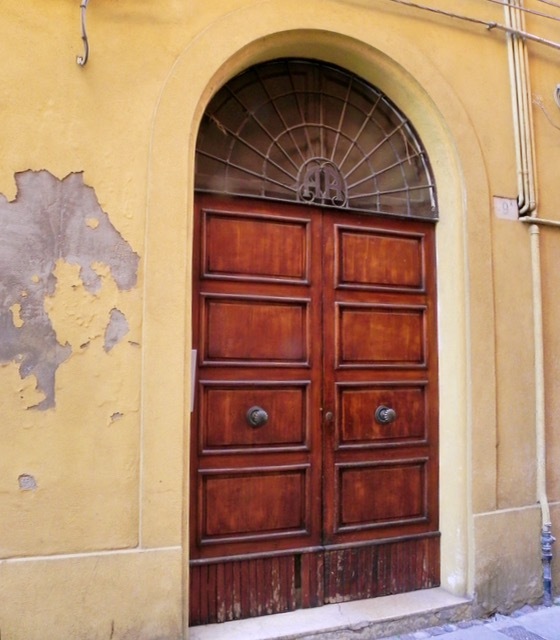 This post is the second in a series about a family vacation to northeastern Italy in 2015. If you’d like to start at the beginning, see Welcome to Ferrara. 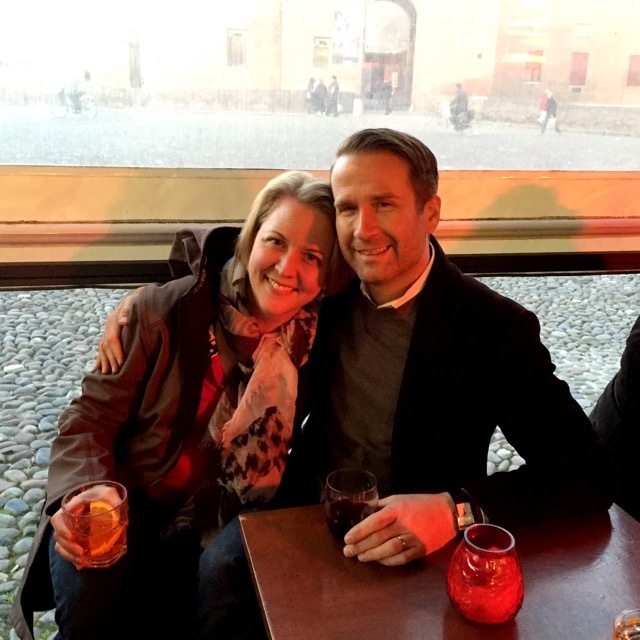 Our first full day in Ferrara started with what felt like a triumph – for the first time ever traveling to Europe with our children, they slept right through all their jet lag and didn’t wake up until they were well rested and on schedule. Of course, that meant our day didn’t start until mid morning, but that was just fine since Matt and I also slept in. The lovely friends we were staying with went about their normal morning routine, so by the time we were all awake, their son Sam was already at school (Daughter Ella would have been as well, but stayed home because she had a terrible cold). 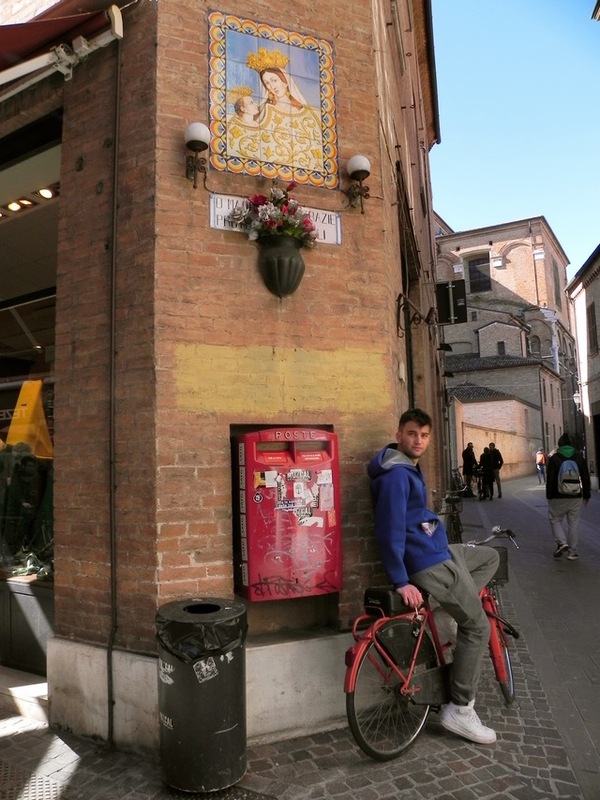 Since children go to school for only half a day on Friday it was decided that we would take a stroll through Ferrara before picking Sam up around noon; lunch and a visit to a museum would follow. This was another pleasure of staying with friends – we didn’t have to think too hard about the itinerary, which is always nice before one gets one’s bearings. 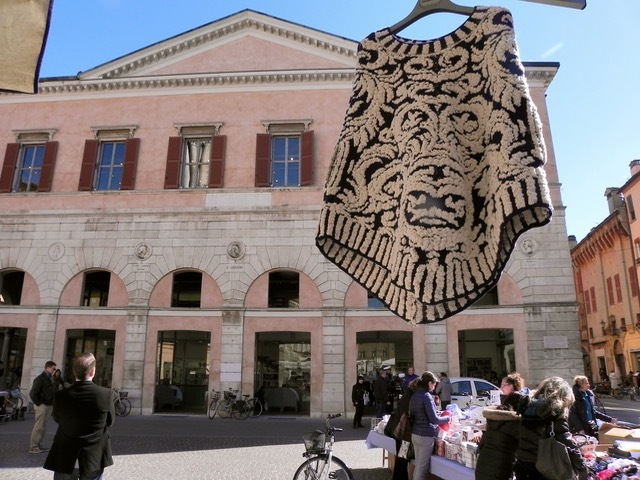 Friday is market day in Ferrara, so once we were all dressed and ready to go we took a long stroll through town where we could have purchased flowers, food, or clothing from one of the stalls. 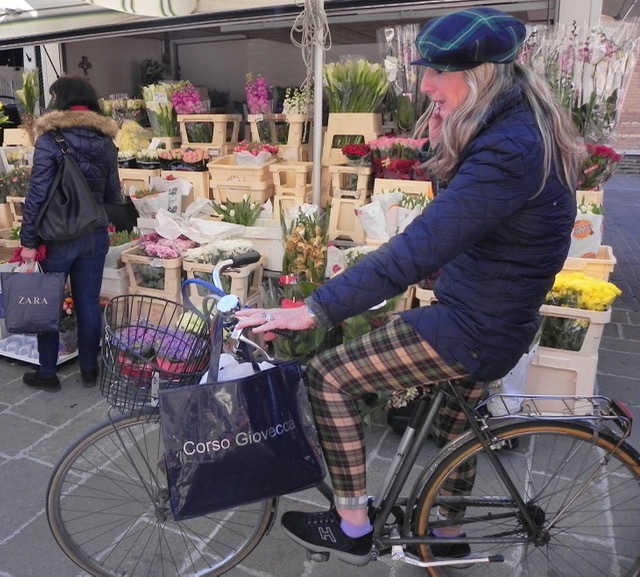 We passed streets dating from the early 15th century, shrines, pink walls, ancient doors, and polished cobblestones.Everything and everyone basked in the early spring sunshine. The locals were out in force, many of them on bicycles. 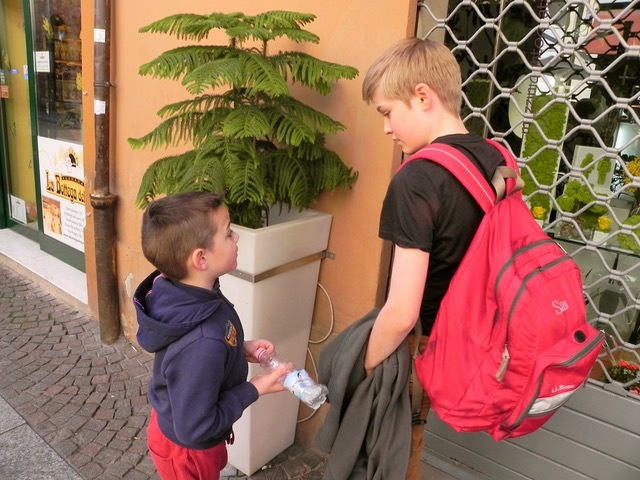 Ferrara is a wonderful place to be a flâneur; even the children didn’t object to some aimless wandering. Perhaps that’s because its streets were among the earliest to be created as part of an urban planning project during the Renaissance. The humanistic idea was to achieve harmony among the buildings and monuments – or put more simply, to make public spaces pleasing to the eye and comfortable for people to inhabit. 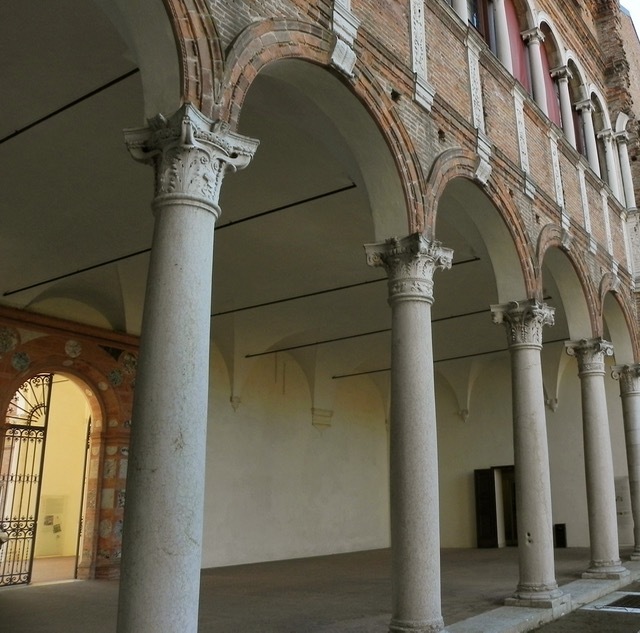 The fact that this planning is still intact is part of why Ferrara has been named a Unesco World Heritage site. I wondered if we would have a repeat of the previous evening when we picked Sam up, but it turned out that we had a magic bullet in the form of my 12-year-old son Tommy who cheerfully held Sam’s hand and chatted with him, keeping him calm and collected as we headed for Este Bar. The menu here was large and since the pizzas in Italy are sized to be eaten by one person, everyone in the group could order his or her own favorite. Mine was topped with eggplant, mushrooms, and asparagus, guaranteeing no small hands would be reaching for it. The adults sipped wine in the sunny, quiet dining room and the kids drew on the paper table covering. Tommy took photos of his food to share on Instagram. We were all utterly contented and well fortified for our first museum foray of the trip. This being Italy, where all history is layered like so much cake, the National Archaeological Museum in Ferrara is full of ancient Etruscan treasure; but this treasure is housed in a building constructed during the Renaissance and originally restored by the early 20th-century Fascist government. The Palazzo Costabili was commissioned by nobleman in the court of Ercole I d’Este, the Duke of Ferrara in the late fifteenth century and was built by the most famous local architect of the era in the same year that Columbus sailed for the New World. It is utterly graceful. Inside, two floors are dedicated to the Etruscans, the deeply mysterious people who preceded the Romans. We all learn about Romulus and Remus and about the seven hills of Rome, but what do we know of the ancient city of Spina? I think in another country everyone would be fascinated by this culture, but there is much to distract us of course in Italy, so much other history and culture for us to know, that we pay it little heed. Spina’s remains were found accidentally in 1922 when the Italian government undertook a large drainage program in the swamps of the Po Delta near Ferrara and stumbled on what turned out to be a large Etruscan cemetery dating from sixth century BCE. The topography was different in Spina’s day, and it was a port city, located where the ancient Po River flowed into the Adriatic. The city itself was eventually found, some thirty years later. 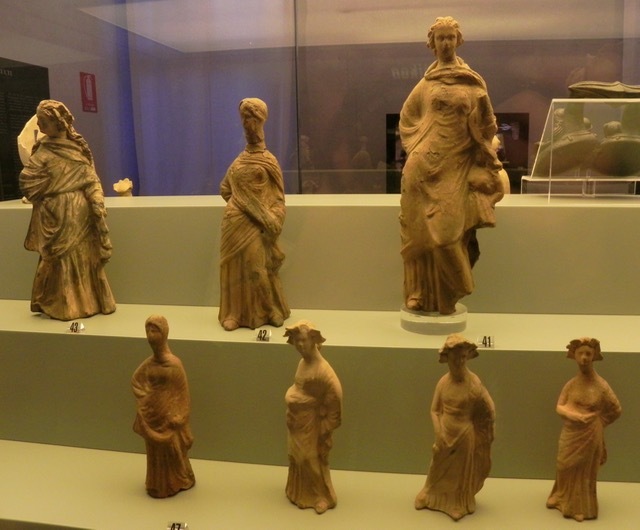 But we don’t really know a lot about the Etruscans. They left us no texts, leaving us to puzzle out how they lived by looking at what they did with their dead. 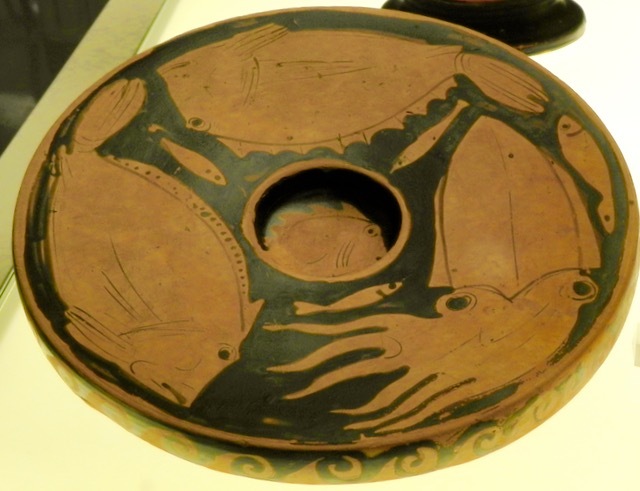 The influence of Ancient Greece is undeniable, as is their closeness to the marine life of the Adriatic. 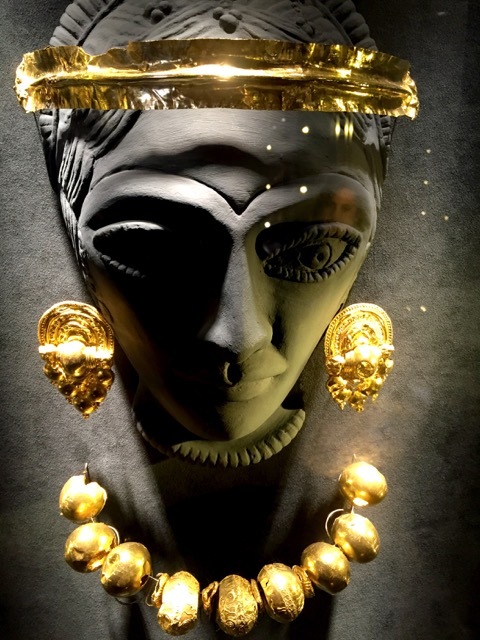 I loved the graceful, long-necked women and jewelry that would still be stylish today. 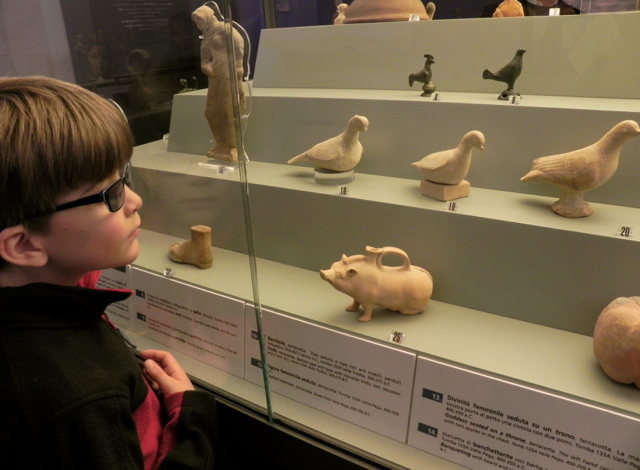 Teddy was fascinated by all of the animals – Etruscan tombs were not lonely places it seems. We arrived last in the Hall of Maps, painted in 1935 just after the villa was turned into a museum. The large reproductions are maps dating from the 16th through the 20th centuries and show the Po Delta where Spina was located. Words from a late nineteenth century ode to Ferrara are painted around the top of the walls. 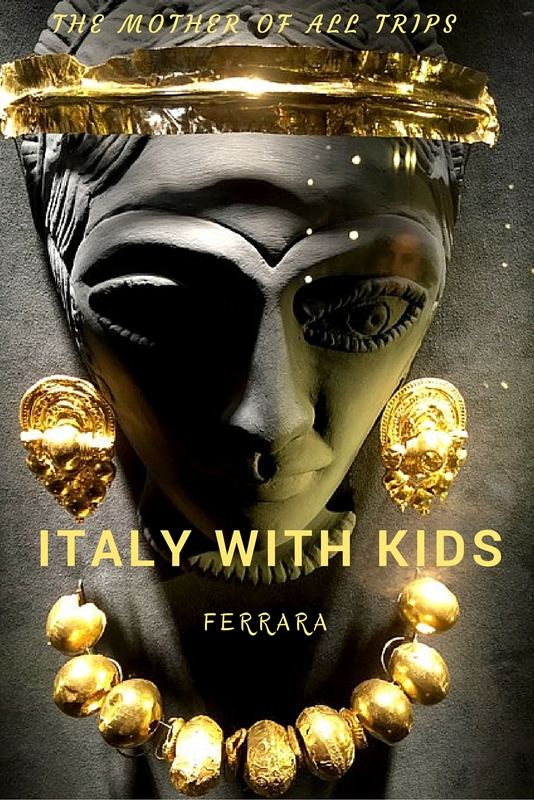 As the museum website claims, this was a way to directly link Ferrara to the ancestors of Roman kings, demonstrating its importance in a Fascist state concerned with its own legitimacy. Our visit wasn’t quite complete. 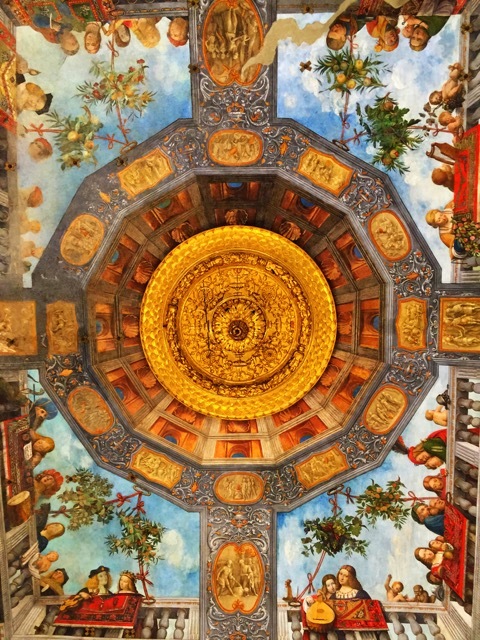 While the children imagined sailing in a pair of 2000-year-old Roman canoes and then tore around the formal garden, I visited the so-called Treasure Hall to marvel at the frescoed ceiling. Painted over five hundred years ago, by Il Garofalo, Ferrara’s own super star painter of the Renaissance, it has recently been restored and returned to splendid, brilliant glory. I never get tired of looking up when I’m in Italy – I never know who will be looking back down at me. When we finished at the museum, we wandered inexorably over toward the old center of the city, which, we discovered with surprise and no small amount of pleasure, was full of sensory delights for all ages. 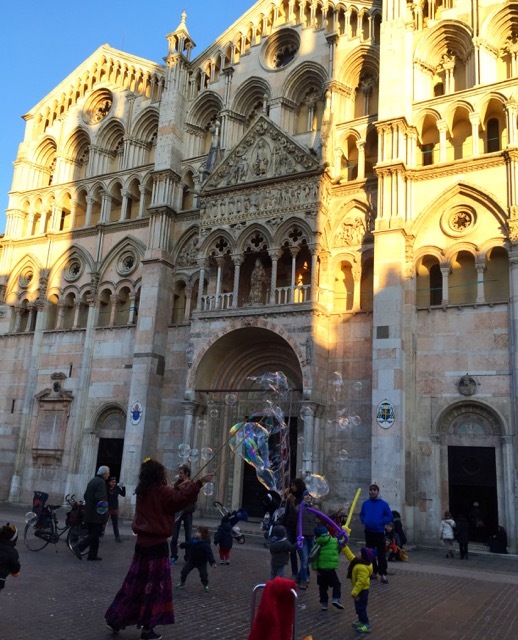 In front of the cathedral, buskers offered children balloon swords and giant bubbles to chase with them. No traffic here, so while the children tore around, the grownups were free to admire the staggering beautiful light of the setting sun on the cathedral’s facade. After playing with the rainbow hued bubbles for a while someone said they were hungry. We realized we had been in Italy for over 24 hours without eating any gelato, and so hurried to Cremeria Primo Frutto to rectify that situation, pronto! When the ice cream was gone, it seemed like a good time for a cocktail, so we settled in at a cafe across from Ferrara’s Castello Estense to sample an Aperol spritz or two. This local apertivo is a delight – slightly bitter orange liqueur mixed with prosecco and a slice of orange. It goes perfectly with the piles of finger sandwiches and bruschetta that are served gratis because one can’t drink without eating, ovviamente (that’s Italian for obvs). 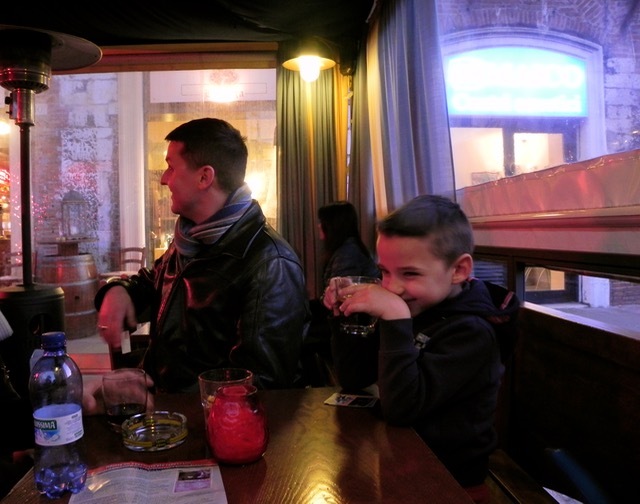 The grownups probably could have sat there for hours but our ragazzi, as the bands of children who roam the streets after school are called in Italy, quickly wearied of sitting so we headed out into what had become a chilly evening. 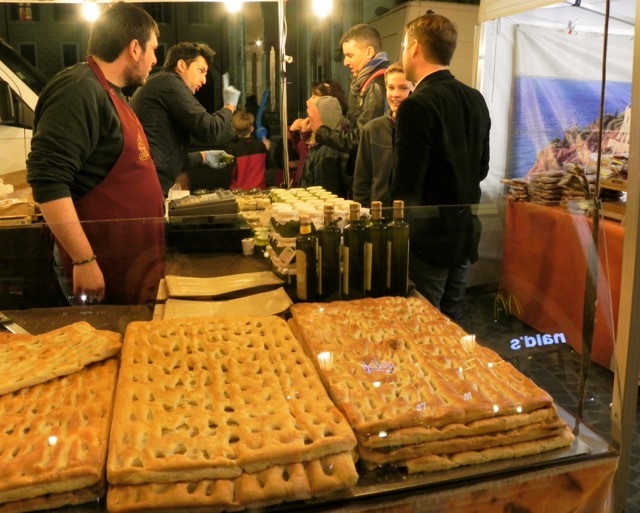 The streets surrounding the Piazza Cattedrale were lined with tables selling the culinary delights from Sicily. Apparently the Italian government likes to cross-promote regional specialties, which is a bit like an embarrassment of riches since the food in the Emilia Romagna region where Ferrara is located is so good. 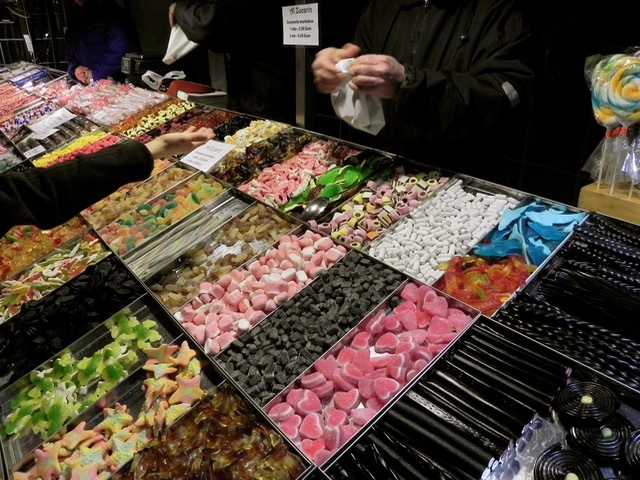 And lest you think the children were left out, there were several stalls that would do Willy Wonka proud. As I sipped warm cup of mulled wine, something I’m pretty sure I wouldn’t enjoy in any other context, I marveled at how quickly and with what simple allure Ferrara had captured our hearts. This was just a Friday in early March during the austere season of Lent, nothing particularly special, and yet it felt to us like a celebration. Next up, a castle, a concert, and more cheese. 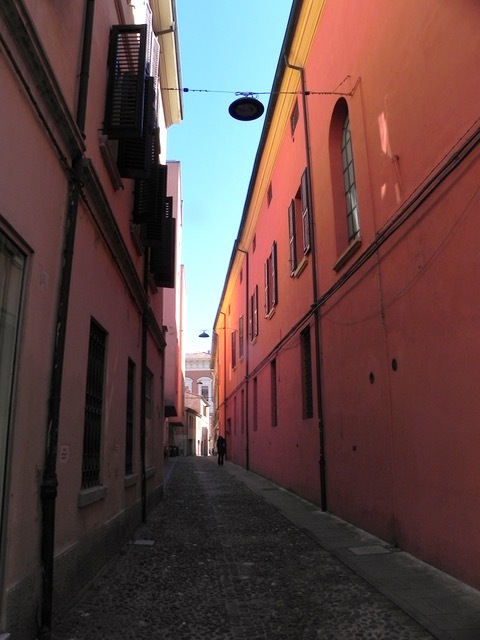 Ferrara is eminently walkable – we crisscrossed the city center repeatedly while we were visiting. 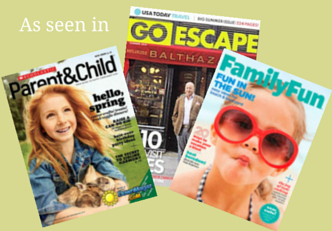 But if you’ve got a stroller, be advised that you’ll find cobblestones, uneven pavements, and narrow streets. You will find something to please everyone at Este Bar, which is located near the city center and all the attractions there. In addition to dozens of pizzas, they also offer pasta and meat dishes as well. Each pizza will feed on adult or one older child. 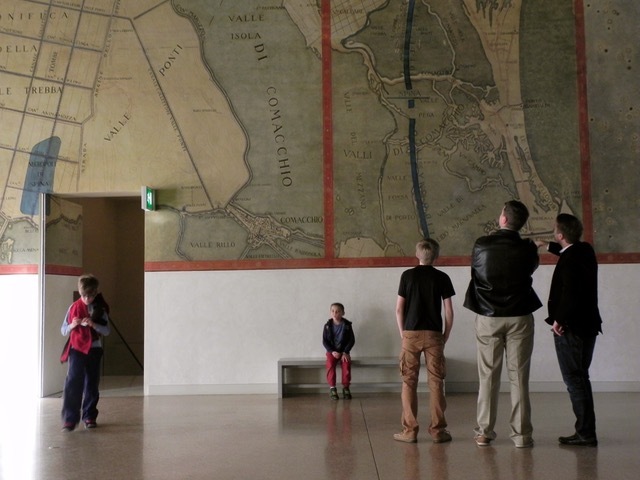 The National Archaeological Museum in Ferrara is perfectly sized for school-age kids – there’s just enough to look at without the artifacts getting tedious. The descriptive panels are all in Italian – but there’s plenty of background information in English on their website. Children under 18 get free admission. 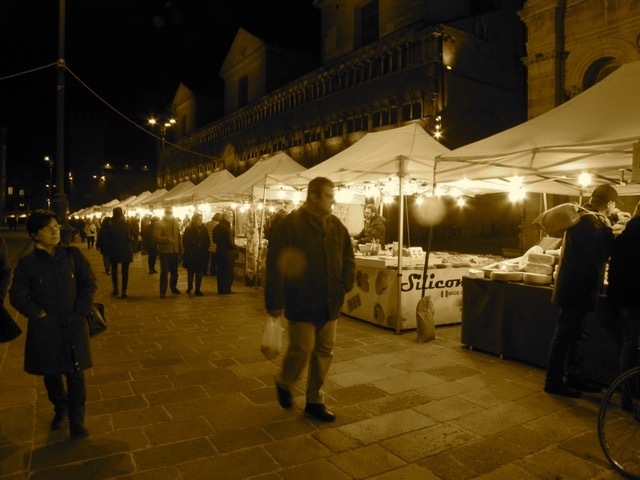 Market days in Ferrara are Monday and Friday, but our friends told us that special markets like the one we visited (which was open all weekend, Friday evening through Sunday) are common throughout the year. It’s also common to find buskers entertaining children on Friday evenings in front of the cathedral. I love Italy! It is such a warm and inviting country, no matter which part you visit. 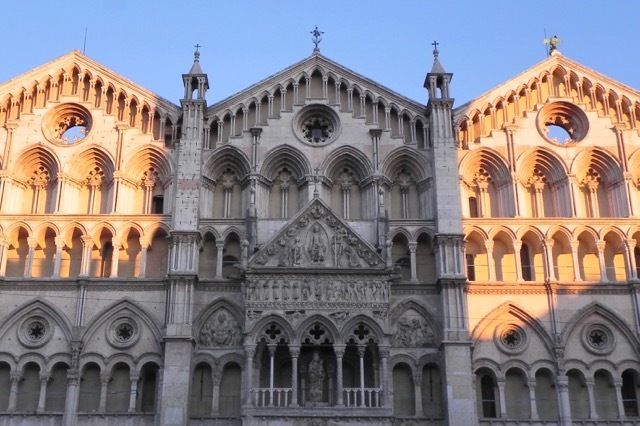 Ferrara will now be added to our list of places to stop on our next European trek. 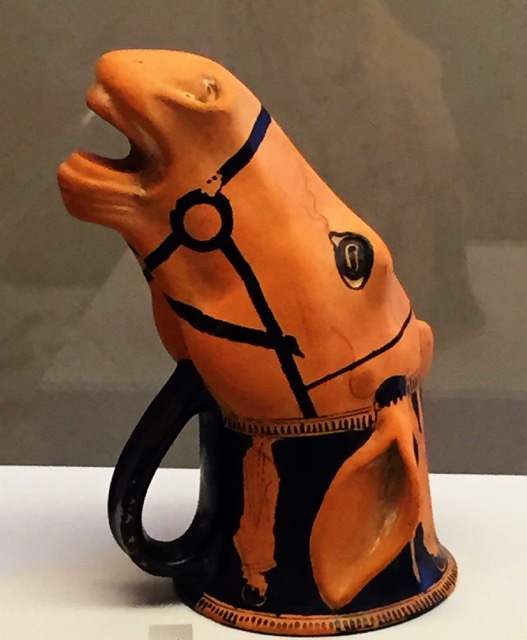 I would love to see the Etruscan artifacts. Their art fascinates me. I think I took one too many Art History classes in college. The pictures of the food stands you shared look amazing. 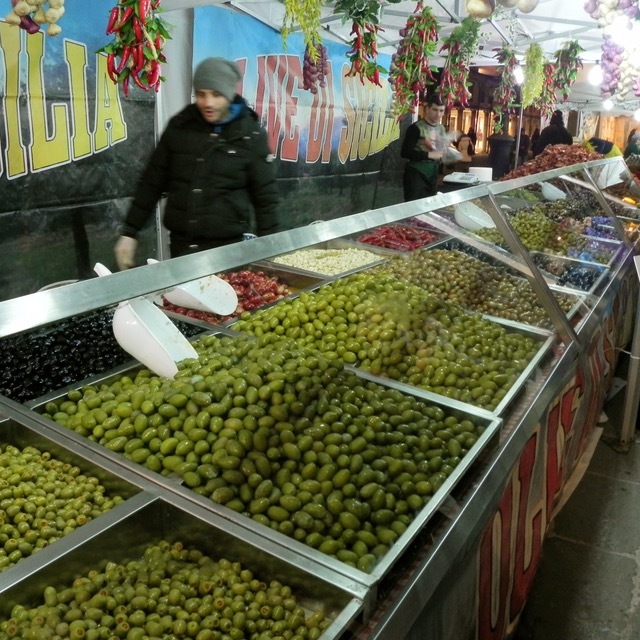 My husband adore olives and would be in heaven there. I, on the other hand, might have to try mulled wine. Thanks Marnie! We really had a great time. Those museums look great. I haven’t been to Italy yet but looks like there will be plenty of great things to see. One of my favorite museums was the Anne Frank museum in Amsterdam. Of course a bit of a darker subject, but still amazing nonetheless. Another great one is the Rijksmuseum in Amsterdam; they just spent I think 10 years renovating it and it’s incredible! 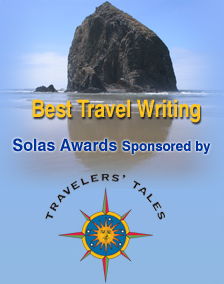 What a great blog post – and travel tips. 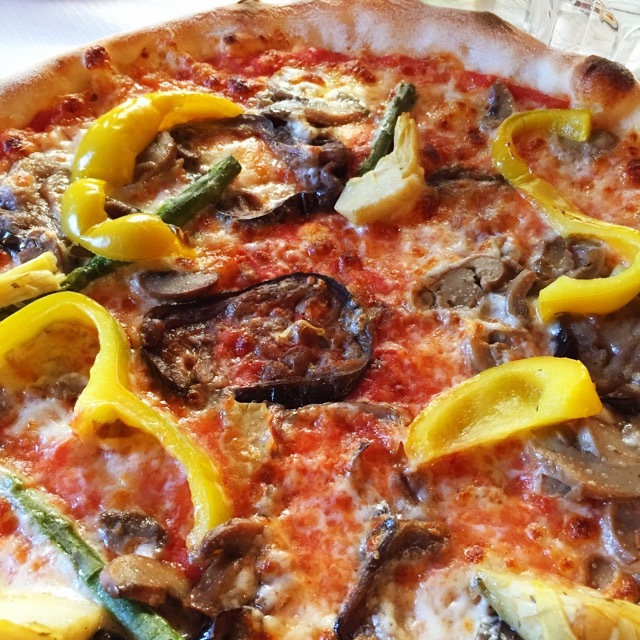 Love the photos – and that pizza! 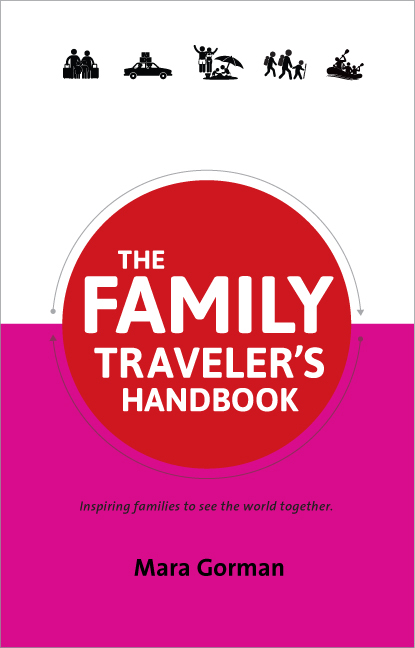 Thank you, enjoyed reading it and will surely plan a trip. I really enjoyed your tip about ordering vegetable-laden pizza to keep it away from the kids. Keeping that one in my back pocket for when we visit Italy! Oh the photos! yay <3 We had an amazing visit to Italy too!